Notes: John & Yoko attended the opening of a new Ossie Clarke fashion show in London. 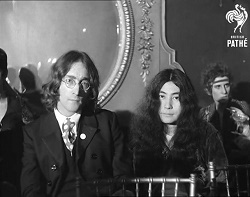 Black and white newsreels by both Reuters and British Pathe captured John and Yoko in attendance. Black and white.